CROC "SILVER" WITH GRAND SILVER BUTTONS AND SILVER LEGS. A little sibling rivalry never hurt anyone, unless of course it involves torturing your now-crippled sister because you are jealous of her success as an actress. 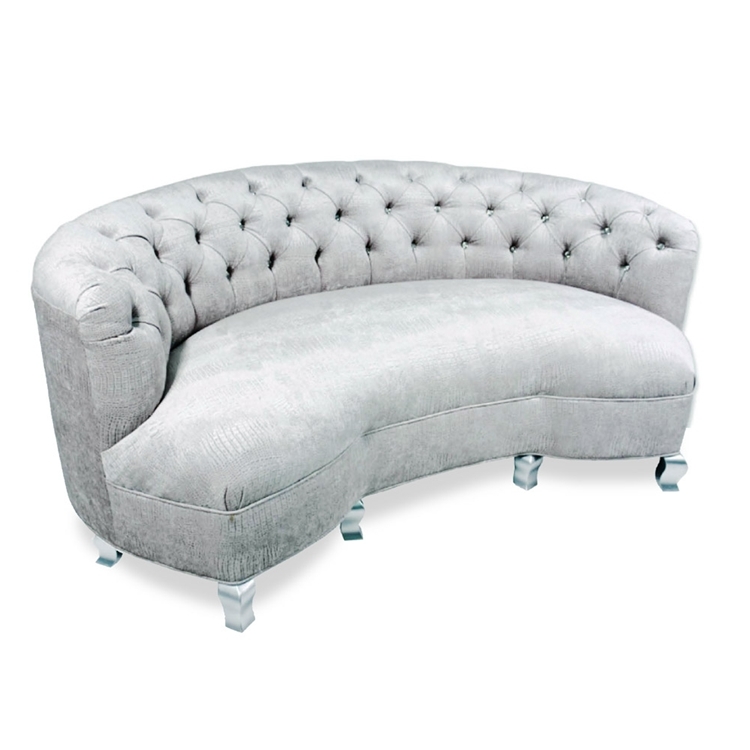 Enjoy old classics like “What Ever Happened to Baby Jayne?” on this intricately tufted Hollywood Regency Baby Jayne Sofa. Item is not available as shown because the fabric is discontinued. The sofa is priced in a grade-c fabric. Email info@hautehousehome.com or call 323.256.2800 for custom options.